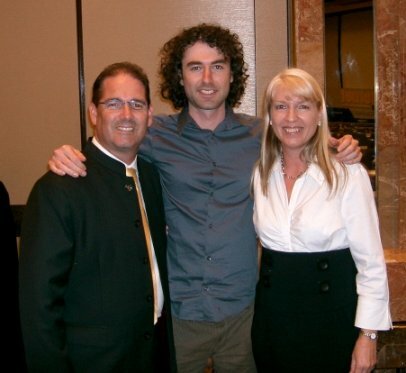 I was recently a guest speaker at a live event on the Gold Coast in Australia. I spoke in front of 200 people for about an hour. I used 27 slides in my presentation, which were almost all just one picture each slide that I put together the night before I was due to present. Using single picture slides means you basically talk off the top of your head, using each picture as a prompt for your story and visual stimulus for the audience. I have used slides that feature dot point lists and titles, which works well too, but I decided if I know my topic well, pictures are a lot more fun. I’ve presented at many live workshops with groups of 50 to 500 people over the past five years. However, there was something special about this presentation for me. In fact, I was looking forward to doing the presentation. I was excited to use the picture slides, to tell my story and engage and educate the audience. It helped that I have presented on this topic many times before, and I’m great friends with the hosts of the event – Liz and Matt Raad – who have a similar vibe to me. You could say it was a “perfect” environment. However the fact that I was actually looking forward to it and not afraid is a huge deal, it shows how far I have come regarding public speaking. I was a very shy child. Very very shy. I look at my little brother today, who is almost four years old, and find it amazing how fearless he is of strangers. He will play with virtually any other child like they are his instant best friend. He has very little fear of adults as well, having no issues talking to any random person, and involving them in games and activities. When I was my brother’s age I stood behind my mum’s leg whenever I met anyone new and it took me a long time to warm to people. Even as an adult I find it takes a while for me to reach a comfort zone with new people, however I have learned how to be much more socially “fearless”. As all people discover as they grow up, the more socially comfortable you are, the more opportunities you enjoy. Life tends to challenge you with many situations where being a more social person has advantages, which used to really annoy me. I felt, as an introverted person who didn’t want to talk much, that I should not be forced to be outgoing if I didn’t want to be. I knew that if I was relaxed and comfortable, I was capable of enjoying conversation and could possibly be a good speaker with valuable things to say. Because of my shyness I preferred to be in my own head. I didn’t like to be ignored, but I would choose to be ignored rather than face the fear of talking in front of other people. As everyone who has gone through a schooling system knows, as you move through each grade, the demands on you to present orally increases. Whether it’s to answer questions in class, participate in group discussions, to do group or individual oral presentations in front of class – it never seems to end. And boy did I hate it! I’m embarrassed to admit that during grade seven at my school I faked an eye injury once to get out of my turn of being the senior student in charge of the school assembly. This role, which cycled through all students in the final year of primary school, involved presenting updates to the entire school assembly on Fridays – which at the time was my idea of hell. Of course my faked injury only got me out of it for one week, and the following week I found myself in front of the entire school, reading out notes, listening to the younger kids making fun of my Canadian accent, just wishing it was all over. Fast forward throughout the rest of high school and on into university, my fear of oral presentations persisted. I actually went as far as looking up the subjects at university and attempting to avoid any course that included the words “oral” in the assessment criteria. Any time I had a presentation to do I managed to get through it with the aid of palm cards. I am sad to say that I was one of those students who essentially read their palm cards, glancing up from time to time to appear to “engage” with my audience. All I wanted to do was just get it over with. This fear affected my personal life as well. I didn’t like to talk to people in groups, and going up to strangers at events or parties wasn’t exactly easy. I can say that much of my teenage years and early twenties were negatively impacted by social phobia, or at least a fear of talking to other people and being the focus of attention. There’s no quick fix solution to this problem. My own experience can be summed up as a combination of good old fashioned hard work and study, driven by a desire to change my life and not be trapped by fear, combined with immersion therapy. I realized being afraid of social experiences and public speaking was hurting my ability to enjoy life and achieve goals. I knew that I had to make the choice to change, learn techniques and most importantly, take action and force myself to do things I didn’t like. Immersion therapy – to feel the fear and do it anyway – is by far the best way to overcome something. Given enough exposure to what you fear, it will eventually have less power over you. You get used to it. That doesn’t make it an easy process to start, but at least you know the path. I applied the immersion therapy process to many aspects in my life, from making friends, networking at events, parties, to even dancing in clubs, and of course meeting girls. In this article we will focus on public speaking, since that is very relevant to entrepreneurs, and something that immersion therapy can help with. Public speaking isn’t actually something I set out to do. I never wanted be a seminar speaker, flying all over the world speaking at events, doing pitches and so forth. Not only was I afraid of speaking on stage, I knew it wasn’t the kind of business for me. I was an online marketer for a reason – the freedom – and being stuck on airplanes and living in hotels week after week was not the plan. Despite this, when I became known for something – in this case blogging – certain doors started to open to me when it came to public speaking. Many of those doors I deliberately chose not to open, but eventually I decided to say yes so I could get a taste for it. Back in 2007 I made friends with Andrew and Daryl Grant, who were building a fantastic business based on delivering live events, usually three day teaching sessions followed by an invitation to join their coaching programs. I had connected with the Grants initially by interviewing Daryl on a podcast for this blog and they then invited me to attend one of their events, which I did. Because I sent them quite a few new people to their website, they started to mention me whenever they talked about blogging as a way to both drive traffic and make money, and also how effective interviews are as an exposure tool, citing my interview with Daryl as an example. It was clear that the Grants were going to continue to invite me to their events and would eventually want me to talk more, maybe even do an actual presentation, about what I was doing with blogs. I had some experience presenting online by this stage, creating podcasts and recording audios for my courses. Despite sitting safely at home with my computer by myself, I still found this style of talk daunting. However, there was one key difference with the presentations I was beginning to do online compared to all those (bad) experiences back at school and university: This time I knew my subject well because I cared about it. Talking about something I had done successfully and enjoyed doing, was so different compared to figuring out what to say about subjects I wasn’t interested in. I liked talking about blogging. I knew my methodology well because I had lived it. I had taught it to others. It worked and it was mine to teach. This certainly made me more confident to present something on stage, but I was still scared about getting up in front of so many people and being the focus of all their attention. Thankfully, I wasn’t thrown in the deep end immediately. It wasn’t exactly a deliberate plan on my part, and perhaps Andrew and Daryl could tell I had fear about doing presentations, so my emergence on to the stage was gradual. Initially when I attended events where I knew the speaker (the Grants, Mike Filsaime, Rich Schefren, etc) I would often be singled out during certain presentations as a guy who knew about blogs. I would be in the audience and stand up, often just to acknowledge who I was, sometimes to briefly talk about what I did. This progressed one day to an actual trip on to the stage. The Grants asked if I would do a interview live on stage, answering questions from the Grants and the audience. I was very nervous before doing this, so I actually took a step to help ease my nerves – I asked a question myself during one of the Q&A sessions before it was my turn to be on stage. This was like a tiny bit of immersion therapy, like dipping your toe into the water before you jump in. Nerves are always worse just before you speak. Once you are speaking you relax into it, and by the end you may even find yourself enjoying it if you are not careful. While it took many experiences before I could fully relax, I did find once the initial few minutes on stage were over I got on with the job of presenting and my brain switched into teaching mode. My first interview on stage with the Grants was scary, especially looking down at all those people in the audience staring back at me. At the end of it I felt not only a sense of relief, but also a sense of excitement. It was actually fun. I went on from that experience to participate in a few panel interviews and hot seat discussions at various networking events and workshops. I like the off the top of your head style discussions, but was yet to do a proper presentation where I was the only presenter. Eventually the Grants asked if I would do a one hour presentation on how to make money blogging, and I said yes. I was nervous, but I knew I could do it and it would help me grow as well. I prepared my power point slides for what was basically a stage version of the Blog Profits Blueprint report, practiced once and then waited for the weekend to arrive. I remember being very very nervous for this first presentation, especially that moment where I would be the only one on stage, with so many people expecting things from me. As I have written about in the past, I used to suffer from panic attacks, which I overcame with a combination of personal development and cognitive behaviour training. Of course as anyone who has had panic attacks will know, the potential for them to surface is always there, you just learn how to deal with it. During my first trip to the stage to present solo, I felt that familiar sense of panic growing within me. It was a really surreal experience, especially during the first 15 minutes or so of my talk. You do realize everyone is staring at you right now? They are all listening to you, just you, you really shouldn’t be up here, it’s not something you do. What on earth are you doing, you are going to have a panic attack right on stage! Basically my fear brain was telling me to freak out while I was trying to hold it together to get through my presentation. It was totally bizarre, and I really had to focus and concentrate to not buckle. I forced my brain to ignore the fear thoughts and focus only on my slides. Slowly things got better and the fear subsided, but it stands out as one of the strangest feelings I have ever had, and not something I want to feel again. While I never experienced quite the same level of anxiety during a presentation since then, I did go on to have varying levels of fear at the start of several presentations after this. Despite the fear, I eventually found myself doing a two hour long presentation in front of a huge auditorium of 500 people. As I became more comfortable on stage, I started being more myself and relying less on the slides to get me through it. During a presentation at a Mal Emery event I decided that I didn’t even need a full slide presentation and I would just use one big slide with a list of dot points, which I would go through and use as triggers to basically “riff” on each concept. I am quite good at “riffing” as I found out from creating podcasts, and then teaching people on group coaching calls. Once you have done something for long enough you really know the fundamentals well, plus you have plenty of experience to back it up and enough general knowledge about your industry, so you can basically talk about anything. This all leads to more confidence, so I felt okay going into a presentation without the back-up of a full slide show. 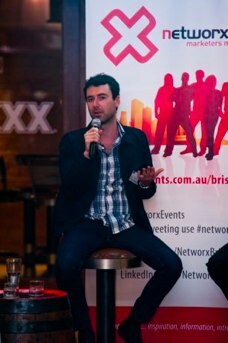 In more recent years as I have done presentations in front of large crowds at networking events (for example, the HIVE in Brisbane), I’ve found that I need minimal preparation and just a few key points as triggers. That’s of course if I am invited to talk about the subjects I know about. I can easily get into the flow and ramble about subjects like blogging, internet marketing and entrepreneurship, but ask me to talk about something outside of my industry or my own life and the confidence will fade. I find it easy to present using case studies – basically story telling from my own experiences or others I have taught, or met or worked with. Much like a good blog relies on stories, a good presentation is the same. Stories are like references that back up what you are saying. Just as a journalist or academic relies on references, knowing a few examples to use in a presentation makes the process more engaging for your audience, and easier for you to appear “smart”. Experts are after all just people who have done things. After last weekend I can now say unequivocally, that I enjoy public speaking. That’s absolutely incredible to say, knowing where I was when I was younger. Since I have done countless presentations and become somewhat of an “oldie” in my industry, I have enough in my background, in terms of personal success and failure, and success helping others, that I feel confident in my ability to have something valuable to say. I’ve noticed that thanks to presenting on stage the confidence has permeated into other areas of my life (and vice versa – as I have built confidence in other ares of my life, my confidence on stage has improved). I’m not exactly a toastmaster, and to be honest at the moment I don’t have any aspirations to increase my public speaking practice beyond what I already do. At least I can say that I feel comfortable enough to be myself on stage and when doing any form of speaking in public, and that’s the best place to be. I’ll end this article with some tips that I have extrapolated for you from my own journey. I hope these concepts will help you overcome any public speaking fears to the point where you feel like yourself on stage, or in any public speaking arenas. This is a guiding principle for anything I feel afraid about doing or worry about not succeeding at. Whether it’s presenting on stage, launching a product, going up to talk to a girl at a party, or even having what society tells you is a “successful” life. Your concerns about performance arise from your ego’s desire for recognition, the fear of failure and of what people will think of you. Drop the ego and accept that you can never control what other people think. All that is left is what really matters – the performance itself. Stay focused on doing the best job you can given your current situation. Reducing your attachment to outcomes is a helpful reframe. I find it makes anything I am about to do feel less important, thus less anxiety ridden. What matters is having the experience. However it is necessary to marry this concept with a healthy dose of desire. There’s nothing wrong with needing or wanting something – you should feel this in order to motivate you to get better or to strive for something. Just remember in the end it doesn’t have any more meaning than you give it. This tip is dipping into more personal development subject matters, which obviously are relevant if you want to improve an aspect of your life like public speaking. If you are interested in a deeper looking at my philosophy on how to create positive change in your life, start here (and read all 9 chapters if you are really keen!). It helps if you know the topic you are about to talk about, but it goes beyond mere knowledge, you need to really care about it. 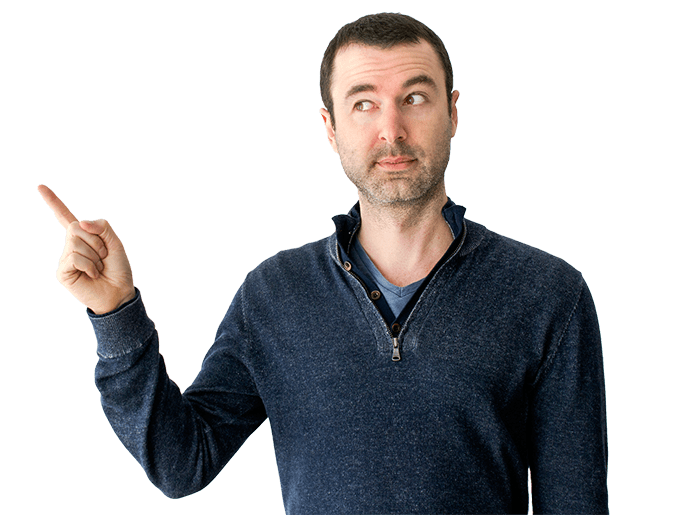 If you love what you are talking about so much that you could just blabber on without the need for props or palm cards or slides or anything, it’s much easier to sound natural and enthusiastic when you present. Subjects that are your passions are fun to talk about (that’s why so many people are great when it comes to talking about themselves!). It really helps if you can build your capabilities up with small doses of public speaking. You might start by desensitizing yourself to that experience of everyone listening to you by asking a question next time you are in a group situation, or at a workshop. This is great because you only have to say a sentence or two, but you are the center of attention during that time. It’s daunting for shy people, but a great first step towards longer periods of immersion. Talk to strangers on the street, or when catching the bus or train. Attempt to stimulate an engaging conversation with people who are paid to talk to you, like retail shop assistants, rather than just brushing them off (it’s conversation practice without needing to make the opener). Do things that people consider socially awkward. Any time you feel that socially uncomfortable feeling you know that’s the time to keep doing it to desensitize yourself. You are only feeling uncomfortable because you are conditioned to do so, and conditioning can be changed. Smile and make eye contact with strangers every day. Ask questions every time you get a chance to do so when attending an event with a speaker. Go up to the speaker afterwards and engage them in conversation. 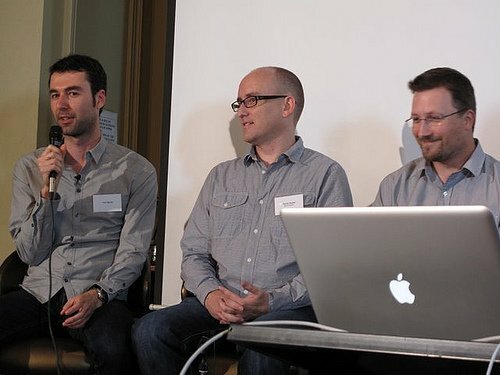 Get yourself invited to a panel discussion, or do a short talk to a small group, or be a guest on a podcast interview. And on and on and on… You must continue to immerse yourself in these public exposure experiences until you no longer feel uncomfortable about it. It’s all about baby steps. The very first few episodes of my podcast where just me talking off the top of my head into a microphone. This helped me get comfortable speaking publicly because I knew the audio would be distributed to people all over the world, and helped me to develop the ability to “riff” without any notes or slides. Even if you don’t have a podcast you can practice creating an audio file by recording your voice into your computer. Just don’t be too hard on yourself when you listen to the playback, nobody likes the sound of their own voice. It might not be live, but creating video is very similar to presenting on stage (and trust me, you can be just as nervous before creating a video even if you are by yourself). You get the chance to “retake” your mistakes, but the sense that everybody is listening to you is still there – and the pressure to perform too! You can take this a step further by doing live online presentations like a Webinar. I still feel nervous before doing webinars because of the live factor, so it’s great practice for getting on stage. Here’s the playlist for my Yaro.TV daily videos – short and casual videos I make with my mobile phone camera. This is not something I have done, but I did do drama classes in high school (I still can’t believe I did this! ), which was a great way to force myself to act in public situations. The commitment when you sign up for something that you know will put you in situations that are uncomfortable is powerful. It’s like a promise you make to yourself, which means you will feel pretty bad if you don’t. I hate regret more than anything. I’d rather fail or make a fool of myself rather than not do something I know I want to do. Taking a course or some kind of commitment that forces you to practice is a great idea. I find talking with a friend, or doing an interview, or any environment where it’s not just you, a much more comfortable set-up for public speaking. You might do a webinar or podcast with a partner, or conduct live workshops with a friend, or just get yourself invited to participate in a question and answer session as a guest expert. Whatever the case, as a first taste of public teaching, doing it with another person makes it much easier. It also makes you feel more accountable to work with a friend because you don’t want to disappoint them. This leads to better preparation, more focus and generally a better result. Now you know the background story about how I faced my own public speaking fears, and some tips you can take away to help yourself become more confident. I wish you best of luck overcoming this challenge. You may never get completely over the fear or nerves, but I do hope you can find a place where can be yourself when talking in public. That always makes for the best presentation. Do You Want More Confidence And Better Results? If you are struggling to get results, nothing seems to work and you feel your blog is going nowhere, I suspect your biggest issue is how you think and how you act. The next level of training I offer for bloggers who are just getting started or who have struggled for a while is my Master Your Mindset: Productivity And Mindset Training For Professional Bloggers e-guide package. I honestly believe you must get this issue resolved or you will NEVER succeed. The same mental stumbling blocks and poor patterns of behaviour will kill your chance of success no matter what you are working on, how hard you work or how good your intentions are. There is a reason why certain people succeed even when they start with no education and no experience. It has everything to do with their attitude and willingness to improve. This guide will give the necessary insights and productivity hacks so you get results quickly. 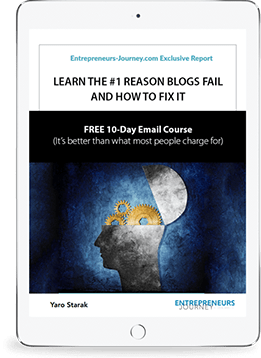 On top of the guide itself, I’m also including five new mindset audio lessons I personally recorded recently, plus the original 10-part Master The Mindset audio lesson series I recorded when I first taught my groundbreaking Blog Mastermind program. There’s also a third special bonus, a report covering my unique system for outsourcing, which focuses on hiring local work at home people so you can build a remote team. The package includes my 90-Page complete guide to master your mindset and productivity, 15 audio lessons featuring over five hours of personal coaching from me covering all the key mindset insights and techniques you need to know, and the special bonus outsourcing report. Even if you are not sure, I suggest you download the guide and then make up your mind after you go through it. As you will see when you click the link, I offer a 30 day refund guarantee. If it’s not for you, email me within 30 days and I will refund your money. You can even keep the bonuses regardless of your decision. Good luck with your presentations and maybe one day I’ll see you on stage. Nothing like diving in the deep end eh, Yaro! OMG ! This is same story as me . I still feel shy to talk in public 🙁 Never gone to meet with blogger and collage presentation . unfortunately i am lucky till now to get rid of it . I will try what you said . talking with strangers and practicing at home will help . 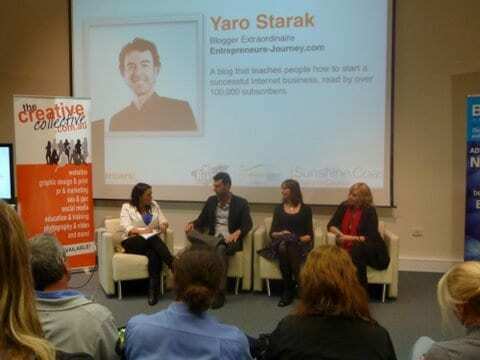 Thanks for sharing your experience with us Yaro:) Its gonna help people a Great deal including me! Yaro you’re not alone in having had a fear of public speaking. I remember reading somewhere (ages ago) how this was a major fear of most people, ranking up there next to death. #4 and #5 are excellent pointers on getting more comfortable with the whole process, even if you don’t publish your initial efforts you will learn a lot. In the United States, we have something called Toast Masters which is an organization that teaches people to speak in front of others. It’s been around for ages, and I have found it does help. Assuming of course that we follow your advice, Yaro, and overcome our fear by immersing ourselves. Thanks for the great article. Really, fear of speaking in public is the biggest fear everyone face. But the truth is no one want to overcome of it. Hence, at the end the fear remain alive. You really have come with great solution. Practicing the things mentioned in this article will surely help. I do have a fear of public speaking if done so in the professional or official manner, where you are standing and speaking to unknown people looking right into your eyes!! Just like you, this has been something I have had since childhood, though speaking out where known people are gathered always seems easier. I loved what you talked about immersion therapy, and it does sound something worth trying! Awesome tips shared about how to overcome your fear of public speaking, and I totally agree that the more you do it, the better you become. I guess once you give yourself that much needed PUSH and go all out, the next time or the next after that would be a cakewalk! It’s the initial hesitancy we have whenever we are trying something for the first time. Congrats Yaro, it’s a major step to be able to speak in public. I bet your presentation was great. For me, tip #1 is most important, “it doesn’t really matter what happens”. Even if you start out a bit nervously your personality will shine through and people will warm to you. If you say an idiotic thing (as one of our speakers did at Business2012 yesterday – came out like a sexual invitation – totally unintended but very funny) it just makes you seem human and people relate to that. Your star is ascending so your audiences will grow, but you’re ready for it now. Best of luck and hope to meet you one day soon! I agree. 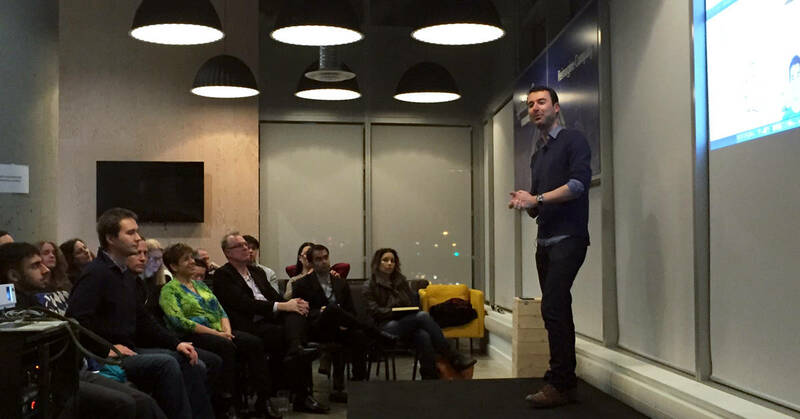 Public speaking can be a LOT of fun, but only if you practice. I am finding this to be true. Thanks for sharing, Yaro. Thanks for being so honest Yaro. public speaking is the #1 fear for many people, even above spiders & snakes! for me i would choose public speaking over writing content any day! 🙂 we all have our strengths & weaknesses, life is just like a game of tennis! A very inspiring post indeed. I had the same problems when I was growing up. I hid behind anything that would get me out of doing anything that involved interacting with people. Still in teen and young adult life I wasn’t much different. I now do Skype interviews, YouTube videos and online training. I still don’t think I could speak as you do, but facing this would be a challenge to overcome too. Good for you, Yaro! And thank you for sharing. The idea of public speaking terrifies a lot of people. I just “got my feet wet,” too. I just did my first reading of the first few pages of my mystery novel in a public setting. I’ve read aloud in workshops, but those were for usually fewer than 30 equally nervous people. Reading my book-of-the-heart. “my baby” to strangers expecting to be entertained scared me half to death. Then, serendipity happened, so I received some timely and useful tips before-hand. One tip was to practice often, easier to do with a five-minute reading instead of an hour-long presentation. Another advantage of a reading, I could get away with actually reading, but I’ve always made it a point to “read with expression,” so dialogue sounded like people talking. I even wrote cues on my pages, such as “Be Present” and my thanks to the the previous reader as well as an introduction for the next reader. We had sixty people show up, an amazing turnout, really, for an event with no “famous authors” on a spring-like late-winter day. People liked what I did and the entire experience has been a confidence-builder. BTW – even though some people said I didn’t look nervous, there were many internal voices that had to be conquered in order to make that happen, and I was about as nervous as a person could be. I don’t think the words “mankini” and “stage” should ever be uttered together in the same sentence Tom. You certainly have balls, no pun intended! I dont do the commenting thing that much Tom… but I gotta tell you man… balls! LOL, this was one of the most entertaining comments ever! Really dude? A Mankini? Yaro, I can totally relate to what you had to go through as a student. I’m also a shy person by nature and I always considered speaking or performing in front of people a terrifying experience. Thanks for the tips, they do help! Yaro, thanks for sharing, this really helped me a lot. Thanks for the inspirational post. One of the best ways to improve your public speaking skills is to join a Toastmasters Club. You will find friendly, supportive people there. It is a safe place to improve your skills. If your speech bombs at the meeting it is no big deal. You can always do better at the next meeting. I have made new friends at my club and we always have a lot of fun. That was awesome. I have decided that sometimes we fear things that are really not that scary after all. I stuttered as a child and I love to talk now. In fact, I plan staff meetings every week to improve public speaking, I teach childcare classes once a month to practice and I watch other great speakers. Yaro , you are such an inspiration and proof that an Introvert can become an extrovert. I wish you much success and I love following you! All great speakers were not born great speakers; they developed the ability here on earth. Jim Rohn, one of the best and greatest motivational speakers that ever existed, confessed that the first time he tried to give a speech in public, his mind sat back down, and he couldn’t utter even a word. Practise makes improvement. The more often we speak in public, the better we get at it. When I realized the need for me to get rid of my fear of public speaking, I joined toastmasters International, learned from the veterans by listening to and watching them any time I had the chance, and I began putting everything I learned into use by speaking any time I was given an opportunity. Public speaking is essential for anyone who aspires to great things in life. Thanks Yaro! It will help me to overcome all that but fact that you described that we never want to overcome that and just want to hid ourselves is often.Hope one day i would also do like you.Great Post……..
A great inspiring post Yaro… Sounds just like me when I was young. I haven’t got to try the immersion part yet, but after reading your story I think I should. Immersion therapy is basically like diving into a swimming pool filled with cold water. Upon diving in, you feel shocked by the coldness of the water, but your body adjusts to the cold temperature after spending some time in the pool. Wow, what a great article. All very good points, and the surreal experience thoughts made me laugh out loud. Like others here, I had a recent experience with public speaking, and the biggie for taking away some of the fear is the passion for your topic. That was pretty great to have such a large portion of the fear removed because of that. I’d agree about the YouTube aspect of video taping oneself even to observe how we look, what we do while we’re speaking – like remembering to smile and let the people see the sparkle in your eye. Again, another great article, and congratulations for stepping outside your comfort zone (way outside it sounds) and inspiring us to do the same. I have a mild form of Asperger syndrome, so social interaction, have been difficult at times. The increased success of my business, teaching and training people, face to face and online, play an integral role. Currently I am reading a book called Stand and Deliver by Dale Carnegie, which is having a huge impact in my public speaking and communication skills. Keep up the fantastic work Yaro. Some great points here about Public Speaking….. I remember my first time, I was given 5 minutes notice (Yipes) because the speaker hadn’t turned up! It was at a local Chamber of Commerce meeting so I was flung in at the deep-end so to speak (excuse the pun) in front of about 200 people. It went down quite well, and I included a few funny lines which made everyone laugh and more relaxed. Afterwards, people came up and bought me a few drinks at the bar and had a chat, so it gave me more confidence for next time. Thanks, I really enjoyed reading this. This sounds just like me. I am an introverted person and am scared to death of any type of public speaking. Most of my close friends wrongly think I’m a social butterfly. This incorrect perception stems from my own insecurities in social situations. I will use some of the examples you list to try and overcome my fears. Thanks. Without us taking action nothing really happens. Growing is about pushing our own limits, testing ourselves beyond our comfort zone and see what’s possible. It’s about the experience not so much about the fruits. My inspiration is the possible regret that I might feel on my deathbed. Be everything you can TODAY! Yes, this is timely stuff! I’m going to a presentation training this Friday and I’m a excited over that. On the other hand, I have always felt funny when it comes to public speaking … in fact I enjoy doing it, but when talking in a much smaller setting (like in a coffee table one), I tend to be quiet … go figure! Anyway, I want to more confident this year and I know that public speaking is a great way to improve your self-confidence. Yaro, i really recognize myself in your story. I also had a terrible time in high school and university with presentations. I remember the 1st one, where I had a paper, and I was shaking so much…..terrible. Public speaking was just part of my studies (management) so it came back frequently, and then I even got a job where I had to teach. Once I had a radio interview and was so nervous that I told the lady that I couldn’t do it…she asked if something was wrong, and I just hang up the phone. It really took me years to get over it, and even now and then I get that strange feeling if I know I have a presentation, press conference. You’re tips are very good, especially the one of talking to strangers. I would like to add that it is always a good start to share the fact that you’re nervous, and a good icebreaker is also to make fun of yourself. You wrote a great article, and yes getting out there and doing it is the best way. Hypnotherapy is an excellent tool to help reduce nerves and is also used for running through the scene, thus achieving a sense of familiarity and self assuredness when on stage. Thank you for your post. I often have difficulty during the middle portion of my public speaking, but I will use your pointers and I look forward to having my experience be a better one.Thanks again for posting. A great post. I love to speak in public but I have a fear too. So will have to refer to this post often. However, that being said, I recently spoke at my daughters wedding, with no notes. I even cracked a few jokes and everyone applauded. They said how good it was. Guess, it must have been the scotch that helped. It is inspiring to see someone who overcomes his weakness and fear and share how he did it. Thanks for being honest about your initial fear of public speaking. Your passion for your message was central to overcoming the jitters! My question for you-have you ever been heckled (by someone who just felt like having a go) and if yes, how did you deal with it? You have just described my life man, with the exception that I still can’t get rid of the panic from public speaking. I am working hard and making some good progress but I know there is still a long way to go. I really can’t believe the similarity with your backgrounds (in school) and mine LOL maybe there IS hope for me. Thanks for this amazing write up, I really appreciate it! PS. I started practicing recording myself on video in my own room and went from really bad to not so bad. I know it is a very different experience to be in front of an audience (I used to play live in rock concerts) but it is actually helping. I must admit I too was a very, very, very shy person and still am to this day but in a different way. When I was young I had to do all those presentations and like you made up stupid excuses. But, that was school – I had to get up and do duets in Sunday School in church and skits and all that crap and boy did I hate it! Then as I got older (out of high school) no one would ever guess I was shy because I was the biggest flirt of all time and just loved the crowded environment – loved bar hopping and even did kareokee – WOW!! But, when all that stopped after having a kid on my own (the father has never made an apperance) I went back to that childhood shyness and it is still with me in an odd way. Now, I actually can go up to strangers and talk if I need to and I don’t mind walking in front of a crowd at huge events (you know you hate to walk up the isles or even stand near a stage) – I actually love doing that – hahaha! But, my biggest fear is the PHONE! Can you imagine that?? Yeah, I would rather talk to someone in person than speak on a phone! I just hate it and it’s been bothering me for a really long time. Anyway – I have been in front of crowds speaking with others – only cause I had to, but I think the scariest part of all of it – even with the phone fear is the working up to it – then once you actually do it – it’s like wow – what was I so worried about…make sense at all? I have a big phone event coming up next week and my body is tightening up as I write this just thinking about it. It’s weird how our fears can take over our lives, but I am sure it will go fine – it’s just the DOING it part that is the hardest. I enjoyed reading your post and so happy to see that you have overcome your fear and that you actually look forward to these events, I believe it is a HUGE high that is filled with anticipation and excitement that comes out of it all that got you over the fear! Yaro, I just recently “found you” and your newsletter. I have learned so much already about blogging from you and this entry is particularly relevant for me. I suffer from an anxiety/panic disorder and reading your story has given me a lift I badly needed. It always helps to know that others who have some of the same problems overcame them. Thank you for sharing this…you are truly an inspiration. I find this article is yet another very helpful discussion. Public speaking is also something I’m planning to learn and master so personally it comes at a right time. The moment I read the title of your article, I immediately clicked on it because I too have a fear of public speaking. There is just something about speaking in front of a large group of people that terrifies me to death! The only good thing about me is that I manage to hide my fear specially when I have to do it for work like doing a presentation for my colleagues and superiors but other than this I prefer not to do it. Great tips though, thanks! Great story & great advice Yaro. I was shy as a child and when growing up too but as you say you get more confident as you get older. My mother used to say that when you get old you can say what you like because at that age you don’t really care what other people think. That is the key I think – to stop worrying about what others think. I have done public speaking successfully without fear. The key is , as you say, to know your subject, practice first and talk from slides as a prompt. It works a treat. You went from fear to enjoyment very slowly but surely. I think that nearly everybody fears public speaking at first. Those who don’t are very rare and even then they may not be admitting the truth. It’s remarkable that you now feel no fear at all because most people have butterflies at least the first few seconds or minutes. Taking public speaking courses which make one practice public speaking or joining something like a Toastmasters Club can make the progress from fear to enjoyment much faster. Thank you for sharing your personal experience to help others. This is brave. Many people struggle with public speaking but few people ever seek help or address it seriously. Nice to see that you’re helping people by sharing your experiences. I’d say your advice about full immersion is spot on. Although it seems counterintuitive, really facing your fears squarely is one of the best things you can do to overcome fears of all kind. Very cool Yaro, great post and tips, especially about practicing on YouTube and with friends. As someone who’s an expert in dealing with social anxiety (which can include a fear of public speaking), instead of forcing my brain to ignore thoughts…I’ve trained it to let them go… to not listen to the thoughts, yet not fight them. I call it “don’t fight or follow” the negative thoughts. Takes a lot less energy in my experience as someone who used to fight all my thoughts! What could I say if not that your story resembles mine? Not that I’m as successful as you are, far from it. 🙂 But the rest is very similar: shy at school, the terrible first day when you must present yourself, and so on. Growing up our comfort zone luckily enlarges but things for me have really changed after taking a public speaking course based on Dale Carnegie books. It’s not really a cheap course but well worth the money. After this I’ve discovered that not only I’m pretty good at public speaking but that I like it. I would just need to practice more. Anyway I find interesting that our biggest fear can turn into one of our best ability. For the rest great article, very good advices and a pleasure to read, well done Yaro. That is good to see…not Go to see. The key is to know your material 101%, and that emits confidence. Thanks a lot for posting such an informative blog article on Public Speaking. Even I was scared of Public Speaking when I was in school but now I am much more confident in this technique. Things do change with time & hard work on tips which you’ve mentioned. Very cool. I think you’re actually very brave to be open like this; THAT, if anything, requires strong nerves. In addition to exposing yourself to what scares you, I would suggest to – at times when you can completely relaxed, and not be disturbed – focus on your breath. Find how to use your breath to feel better; because all fear, anyone ever has, can be linked back to a lack of oxygen. Thanks for sharing your story. Seeing how you did it can certainly help people to learn how to reproduce your success in public speaking. I also appreciate your tips. This is really something that can only be learned with practice. I would like to recommend an organism that has helped me for a few years now. It’s called Toastmasters International, http://www.toastmasters.org/. The interesting points with Toastmaster are the fact that 1) it’s program well structured with modules. 2) classes are made with small groups from about 10 to 20 people willing to help others. 3) it’s a good place to experiment and do you own mistakes (even for experts). Like Yaro said, immersion therapy is a solution and this is something you can do in the Toastmasters. Thanks a lot for these advises. I have always been terrified by speaking to an audiance. up to 3-4 it is OK but 10 is really a challenge for me. I will try your advises asap. Since my comment I made several tries with different people. I must admit that little by little I am growing in confidence. I am coming back from time to time to your page in order to see if there are new information. Anyhow thnanks a lot for your advices. It has been some time for me but I was working for indigenous communities whereby most of my public speaking was before a membership of adults performed monthly. I do miss those occasions because that lead to tv interviews and local ABC radio. Arhh those were the days. This is really useful advice – feel the fear and do it anyway – so true. Not so easy, but it’s what you need to do if you want to be free of fear in any particular situation. And doing it gradually with baby steps, not jumping in the deep end – because you are more likely to start if you take baby steps at the beginning. Also that point about controlling negative thoughts – also not easy, but if you can be aware that you are doing it, you can force yourself to make a conscious decision to Stop – “No! – I’m thinking negative thoughts and I’m going to stop doing that, and re-focus”. This helps you focus your attention back on what you are supposed to be doing – whatever it is – in this case, telling people how to succeed with online marketing using a blog. Some cricketers, golfers or tennis players, etc, use a trick to help them focus on the next ball, swing or serve: they have a routine of small actions that eventually becomes their cue that tells their brain: now I’m totally doing this… (whatever it is). Pulling their shirt, bending the knees, bouncing the ball, adjusting the pads – it’s a way of refocusing the brain and shutting out negative thoughts so they can concentrate fully on the task at hand. Once it becomes a routine action, the mental refocusing becomes more routine as well. It could be as simple as rising slightly onto your toes and back, or putting a hand in a pocket – no one would notice it on stage, but it can become a way of breaking out of the negative thought spiral. Very timely thanks Yaro as I’m now gearing-up to offer free public speaking on social media communication to as many small goups as I can. I’m hessitant due to being exposed in front of lots of people but understand that I need to focus on helping others as much as possible and the best ways for me to do that. Your post was inspirational and genuine as always and I look forward to meeting you in person some day soon and chatting about entrepreneur ‘stuff’. Really good insight on what to do and how to get better speaking in public. Personally I do recommend getting a job in catering for a while, I know it is a bit off-topic, but in catering you are in a situation were you meet lots of different people all with different needs and moods which brings up all kinds of situations. These situations help you develop an answer for almost anything, even if you know nothing about the topic. In time you gain the ability to manage your self, your nerves, temper, tone of voice and your posture when speaking to one or a large number of people. I guess I’m one of those rare lucky ones who have no fear whatsoever when it comes to public speaking. However, I know how hard some people find it, so it’s great that you’ve gone so far with it! I took a class on public speaking and just the thought of having to do it still terrifies me. Even creating a Youtube video brings on a lot of anxiety. Nice experience-very inspirational. Thanks for sharing . Yes, Toastmasters is great. Years ago, I worked for a large pharmaceutical company. The company sponsored a Toastmasters group, which met one lunchtime per week. I found that the exercises and practice talks really helped me overcome my fear. Plus, it was a fun break in the work day. Of course you like public speaking Yaro, because you get to talk about your favourite subject. Yourself. Right on Tony, my favourite subject for sure! On an other Blog of mine about the – Writer’s Lifestyle (you can find a link near the top of my – Home Business Lifestyle – Blog) I actually already created a special Events Page to be able to schedule possible future Speaking, and possible Podcasts etc. etc. Examples of Incredibly Inspiring Speakers. about Speaking on Cruise Ships. Great post on public speaking. You mentioned that it is easier when you know the subject well. I also learned from my teacher AND from experience that when you speak about a topic your passionate about / or from the heart you will automatically make a great presentation! On the other hand, I remember being filmed at a Toastmaster meeting doing a presentation. The audience was bored and later they showed me the presentation. I had brought a prop with me and the film showed me that I spent a lot of time talking AT the prop. I totally did not expect that I was doing that. It was a big help, but I was also not ready to see all my mistakes. I quit toastmasters and never went back. But if I need to do regular public speaking in the future, I know it was one thing that will probably help me a tremendous amount. Great post. I like the idea of going to a public speaking course, I really have to remind myself to to take one! . I think many shy people actually have a lot of things they can share publicly, if its knowledge, wisdom, art etc. Well done – this is some encvouraging to know that even well known people like you have fears like all of us….and can overcome them. I appreciate this great post. it is really motivating and encouraging. I have similar problem as you had and overcame it. I really want to start a seminar company and the issue of stage fright is sending me to background of relegation and not allowing me to enjoy and explore my abilities. Please i need your help on how to grab audience attention for a long time without my brain going blank. Very insightful post. This post has just cured me of my public speaking woes. I especially loved the first point where you said that ” It doesn’t really matter what happens in the end – it is more about the experience”. Mind blower! Very powerful! This will definitely help me reduce my attachment to the outcomes that I set in my mind. Thanks a million. I’m glad I found this blog. You’ve just gotten yourself another loyal reader. If you don’t want to do public speaking online marketing (content marketing) is a great choice. You can just produce text and pictures and do very well if you have the right strategy and techniques. Digging into my blog archives and reading my free reports will definitely help you. Check out my podcasts too. So timely Yaro – I just did a couple of presentations at the weekend – I love doing them and find it energising to be live with real people. Smart advices, but after all that Immersion thing is a bit same as Cognitive Behavioral Therapy. This is something too hard, I understand fight is what needs to be done instead of Flying from these social situations. I would like to say you thanks for the nice post..
Hi Yaro my name is Monica Morales and i am only 12 years old and i go to a school called T.C.A and that school is about teaching me how to do better in school and how to not talk back to my parents , and it is really helping me.So my point is i was given a responsibility to talk in front of 30 grownups and i don’t know what to say so please help me with it. Thank you. To be honest, these tips are great, but lack effectiveness for those that haven’t done this for a while. What has worked best for me is joining Toastmasters (practicing and confronting) combined with beta blockers such as propranolol in very low doses of about 5mg-10mg an hour before a presentation. Only thing you would need to worry about is making sure you don’t have low blood pressure or preexisting heart problems. Other than that, it is relatively safe to use and is super effective for me and other colleagues. Hi Yaro, a well written article with helpful content for all who struggle with public speaking and presentation skills. The Book of Lists states that speaking in public is the worlds number one fear, which tells us that most people would rather face a firing squad than an audience. I joined Toastmasters many years ago, they “Don’t take away the butterflies, they just get them to fly in formation”. Once again, Thanks for an encouraging article. So timely Yaro – I just did a couple of presentations at the weekend. Thanks for the post. Oh yes a very nervous moments for the first time who are going to deliver speech, but it is not so tough if we practice at home towards the mirror. Oh It’s really tough for you if you are doing first time but not too much if you had too much practice in your home. I have also present my presentation on marketing topic in my college. Really a tough time for me and I was too nervous that time. Its always difficult for the first time. fear disappears gradually. What a great read! I find your tips for overcoming fear of public speaking quite handy and helping. Practice, in my opinion, is among the most important things to do and a great way to overcome uncertainties. Still, I remember when I was in Class 7 in my school KV. My mom and teacher forced me to sing a song in a school ceremony. It was my first participation my heart beats has reached the peak but I overcome it after some time taking a deep breath and thinking of my future.. Very nice article. Really informative and helpful .Thanks for sharing this and keep up the good work. Very much appreciated. For me i have always want to not speak in fear … this article helped me in my interview .. thanks alot .. Your article really helped me to overcome the fear of public speaking. Each and every point is really very true. Thanks for the article.